Welcome to Turramurra Learn to Swim, centrally located on the North Shore. In our heated indoor pool, we run an outstanding Learn-to-Swim program for babies, preschoolers, school-aged children and adults. 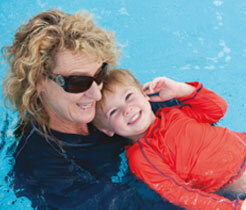 We have been offering professional swimming teaching in a small, caring environment since 1981. The enclosed, specially designed teaching pool is heated to at least 32.5ºC all year. This provides an ideal environment and pool space for teaching swimming. Warm water is particularly important for parent and baby classes and relaxes children who may not be confident. Each class is half an hour in duration. The small children feel secure and the older children can develop their strokes and technique with a teacher in the water providing encouragement and correction. 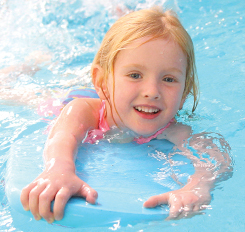 Our swimming lessons provide your child with a lifelong skill and water safety techniques. This gives both you and your child confidence around the water. Our pool water is crystal clear and our reception area is air-conditioned for your comfort. 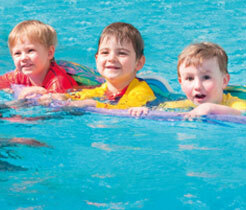 Weekly swimming lessons are offered throughout the term as well as Holiday Intensive Swimming Programs. You are welcome to visit our Swim School to watch a class in progress. There is plenty of parking in the Council car park adjacent to the Swim School and the access is easy. We are open year-round, six days a week, Monday to Saturday. 50% off for your third and fourth child!